If you have any questions or suggestions you are welcome to join our forum discussion about Differences Between Forex & Options Trading. 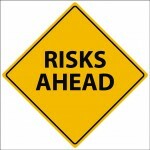 Both Forex and binary options trading involve risk. However, if we take a closer look at both types of trading, we may draw the conclusion that binary options trading is a bit less risky due to the fact, that you know how much you are going to earn or lose before you place the trade. This is a huge advantage over Forex trading. This way you have better control over your money. Trading binary options has another advantage – you have the opportunity to refund a portion of your trades, if you feel that your projections will not turn out to be accurate. However, this option is not offered by all brokers. Participating in the binary options market is fairly simple, as trading operations lack the complexity of operations in the Forex market. You may need to set several parameters of the trade, but in most cases you will be able to place a trade in just 3-4 simple steps. On the other hand, placing a trade in the Forex market involves setting additional parameters of the trade in order to limit your losses, manage risk levels, etc. The reason why trading binary options is quite easy is that the trader can only choose between two types of orders – Call or Put. In the meantime, Forex traders are faced with a more difficult choice. In binary trading the amount of money you make will depend on your investment, knowledge, experience and last but not least – on the profit percentages offered by your broker. In most cases the profit percentage your broker offers will vary between 60%-80%. The percentage entirely depends on the type of options you are trading, because the payout for certain types of options can be up to 300-400%. The fixed payout percentage gives you accurate information on how much money you will make from the trade. This way, as a binary option trader, you can control your money better and quickly calculate how much money you are going to earn, and how much you feel comfortable to lose. Binary traders are quite active in the market – they often make over 10 deals per day. If you are one of the traders who deal with 60-second binaries, then it is very likely that you will make over 40 trades on a daily basis. In the meantime, Forex traders have to be more careful, while placing trades and, in many cases, they end up placing just 3-4 trades in a single day. Binary options have quickly gained popularity among retail traders, because they do not require huge investments and are a great way of generating a decent amount of passive income. On the other hand, Forex traders need to invest larger amounts of money, especially if the leverage offered by their broker is lower. Do not forget that leverage is a great way to multiply your profits, but it is also the quickest way to lose all the money you deposited. One should not be tempted by the prospect of making large amounts of money in no time. Both ways of trading have their pros and cons, so it is up to every trader to determine which one suits best their preferences. Each one of these markets is meant for different types of traders. On one hand, Forex is a dominant market segment at the moment, while trading it is the full-time occupation of millions of people worldwide. On the other hand, binary options are a relatively new trend among Internet users and at the moment there are not so many people, who make a living by trading binaries. But, why not turn binary options trading into a full-time engagement?